The countries in Europe are following a decentralized approach to cryptocurrency regulation. The UK treats Bitcoin like a foreign Currency. 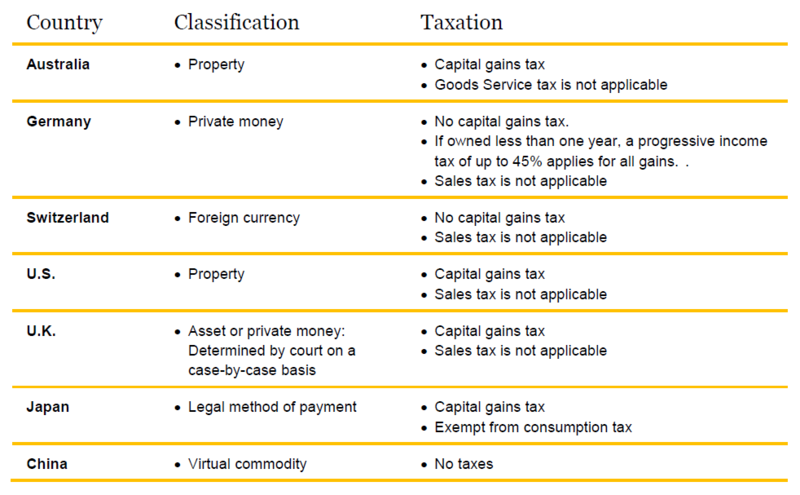 In Germany, bitcoin sales do not incur a capital gains tax; however, if the investment is held for less than one-year German income taxes apply. Income taxes in Germany are progressive and can be up to 45%. Surprisingly, even Switzerland the land of cryptocurrency, taxes are levied. Swiss residents must pay income tax, profit tax, and wealth tax on their cryptocurrencies holdings. Fortunately, in all EU countries and Switzerland and Liechtenstein, cryptocurrency sales are exempt from the VAT. Although paying taxes is a real bummer, at least this extra revenue will make regulators think twice before outlawing bitcoin. What do tax law and cryptocurrencies have in common? Most people don’t know the first thing about these topics. Moreover, the two subjects represent polar opposites from a cultural/ worldview perspective. In the eyes of many people tax law symbolizes excessive regulations imposed by a central government agency. This is in contrast to cryptocurrencies and the associated blockchain technology, which stand for a decentralized, unregulated and free society not under the thumb of a central power apparatus. The complexity of these two spheres increases if one attempts to integrate cryptocurrencies into the world of the tax code. The following examination provides a cursory overview of the tax treatment of cryptocurrencies with respect to both natural and legal persons in Liechtenstein. In closing a brief excursion on the question of whether private asset structures are allowed to invest in cryptocurrencies is presented. Since January 1, 2011 the worldwide income as well as all movable and immovable property of natural persons whose domicile or place of habitual residence is in Liechtenstein, are subject to taxation in Liechtenstein. A special feature in Liechtenstein is the integration of tax on wealth into income tax as well as the principle that a source of income is either subject to wealth tax or to income tax (preventing double taxation). cases involving the simple purchase and subsequent sale of a cryptocurrency (traditional speculation), but one far more often sees the following types of transactions (which require extensive declaration and documentation efforts in other countries): for example, CHF are exchanged for Bitcoins, later on Bitcoins are exchanged for ether, and these ether are then used to take part in an ICO/TGE and one receives new tokens (or Bitcoins are used directly to, for example, pay a restaurant bill). The tax treatment of coin mining also raises interesting questions. 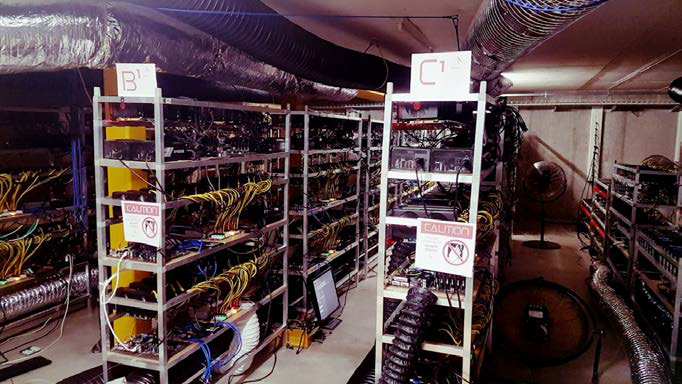 In the author’s opinion, income from mining cryptocurrencies doesn’t represent a tax-free capital gain but has to be seen as a separate commercial activity. Consequently this activity is subject to income tax, which on the other hand is offset by tax-deductible expenses associated with it (e.g., IT-related costs, electricity costs, rent, etc.). A far more complex picture emerges in connection with legal persons. Investment in cryptocurrencies is not subject to tax exemptions pursuant Article 48 SteG (Tax Act). This means that speculative income is taxable and has to be declared, thus profits and losses are subject to taxation (12.5% income tax). With respect to the equity capital interest deduction, it should be noted that investment in cryptocurrencies does in principle qualify for the equity capital interest deduction, which reduces the effective tax burden. However, this is conditional on the investment representing part of a firm’score operating assets. Investment in cryptocurrencies also constitutes a special challenge for corporate accounting. Customary accounting software is (currently) not able to recognize transactions in cryptocurrency terms. Moreover, the assessment of blockchain transactions requires solid technical understanding or an exceptional IT affinity. 2. Cryptocurrency holdings must not be used beyond the status of passive ownership, and in particular not to facilitate detrimental economic activities. For us at Incrementum, Mr. Langer’s article means that cryptocurrencies may exist in the digital realm but their tax implications are very real. Detection of cryptocurrency investments is difficult–to–impossible for government tax collectors. Although investments that stay in the digital world may go unnoticed for a few more months, the rising value will ring the alarm for tax agencies. Banks that receive large transactions will ask questions and report suspicious activity. Instead, investors are expected to honestly declare cryptocurrency income and wealth to authorities each year. For comprehensive details see for example: Langer, M. (2017). Mehr Mut für Beschwerden im Steuerrecht: Entscheidung des VGH zur PSV(“More courage for complaints with respect to tax law: decision of the Administrative Court”), LJZ,2017, 62. 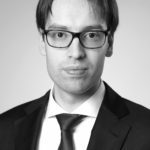 Matthias Langer, MBA, LLM is a tax consultant and partner at actus ag, Landstrasse 40, Triesen, as well as an author and speaker specialized in tax law. His advisory focus is on the tax laws of Liechtenstein and Germany as well as cross-border tax planning. In addition, he specializes in providing consulting services on taxation and accounting in the areas of cryptocurrency and blockchain-based applications.